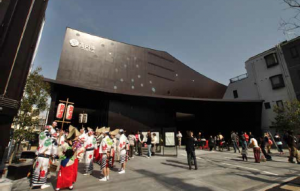 Toyo Ito, a 71-year-old architect whose architectural practice is based in Tokyo, will be the recipient of the 2013 Pritzker Architecture Prize. The announcement was made March 17 by Thomas J. Pritzker, chairman of The Hyatt Foundation, which sponsors the prize. 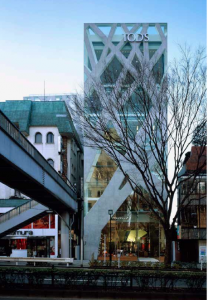 Ito is the sixth Japanese architect to become a Pritzker laureate, the first five being the late Kenzo Tange in 1987, Fumihiko Maki in 1993, Tadao Ando in 1995, and the team of Kazuyo Sejima and Ryue Nishizawa of SANAA Inc. in 2010. The formal ceremony for what has come to be known throughout the world as architecture’s highest honor will be at the John F. Kennedy Presidential Library and Museum in Boston on May 29. This marks the first time the ceremony has been held in Boston, and the location has particular significance because it was designed by another Pritzker laureate, Ieoh Ming Pei, who received the prize in 1983. 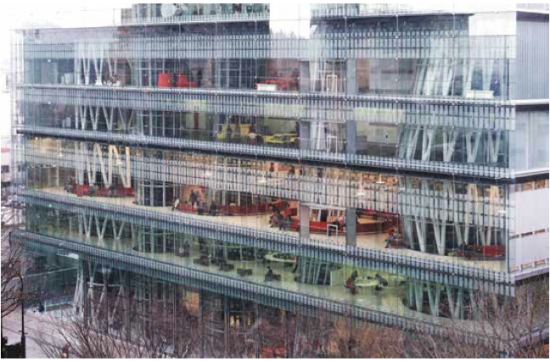 The purpose of the prize, which was founded in 1979 by the late Jay A. Pritzker and his wife, Cindy, is to honor annually a living architect whose built work demonstrates a combination of those qualities of talent, vision and commitment that has produced consistent and significant contributions to humanity and the built environment through the art of architecture. The laureates receive a $100,000 grant and a bronze medallion. Ito began working in the firm of Kiyonori Kikutake & Associates after he graduated from Tokyo University’s Department of Architecture in 1965. In 1971, he founded his own studio in Tokyo, and named it Urban Robot (Urbot). 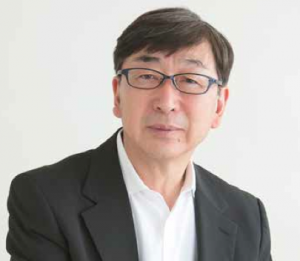 In 1979, he changed the name to Toyo Ito & Associates, Architects. He has received numerous international awards, including in 2010, the 22nd Praemium Imperiale in Honor of Prince Takamatsu; and in 2006, The Royal Institute of British Architects’ Royal Gold Medal; and in 2002, the Golden Lion for Lifetime Achievement for 8th Venice Biennale International Exhibition. Ito made this comment in reaction to winning the prize: “Architecture is bound by various social constraints. I have been designing architecture bearing in mind that it would be possible to realize more comfortable spaces if we are freed from all the restrictions even for a little bit. However, when one building is completed, I become painfully aware of my own inadequacy, and it turns into energy to challenge the next project. Probably this process must keep repeating itself in the future. One of his first projects in 1971 was a home in a suburb of Tokyo. Called “Aluminum House,” the structure consisted of wooden frame completely covered in aluminum. Most of his early works were residences. In 1976, he produced a home for his sister, who had recently lost her husband. The house was called “White U” and generated a great deal of interest in Ito’s works. 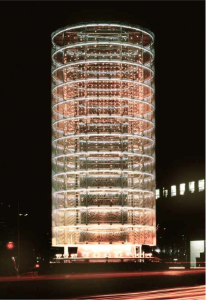 Of most of his work in the 1980s, Ito explains that he was seeking to erase conventional meaning from his works through minimalist tactics, developing lightness in architecture that resembles air and wind. – Juhani Pallasmaa, architect, professor and author, Helsinki, Finland. Martha Thorne, associate dean for external relations, IE School of Architecture & Design, Madrid, is the executive director of the prize. Wang Shu of China, 2012. The field of architecture was chosen by the Pritzker family because of their keen interest in building due to their involvement with developing the Hyatt Hotels around the world, and because architecture was a creative endeavor not included in the Nobel Prizes. The procedures were modeled after the Nobels, with the final selection being made by the international jury with all deliberations and voting in secret. Nominations are continuous, with hundreds of nominees from all around the world being considered each year.